BlackBerry Curve 9350, 9360 and 9370 launched | BlackBerry Blast! Research in Motion continues to roll out their new BlackBerry 7 devices with new BlackBerry Curves. 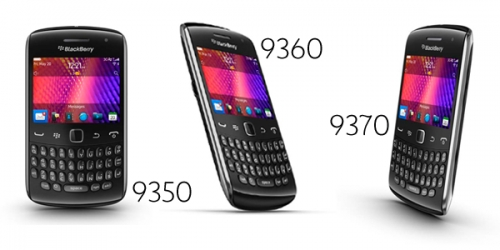 The BlackBerry Curve 9350, 9360 and 9370 smartphones are lower end models when compared to the Bold, but they look great.